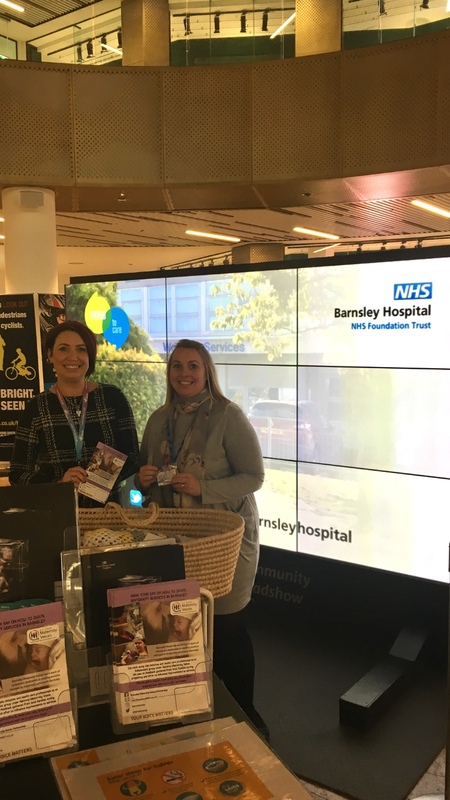 From Monday 29 – Wednesday 31 October Barnsley Midwives will be promoting the Maternity Unit and Maternity Voice Partnership at Meadowhall. Lots of information regarding safe sleep, risks of smoking in pregnancy and awareness of reduced fetal movements. They will be located outside Primark between 10am – 2pm and 4pm – 7pm.